Let's have fun! 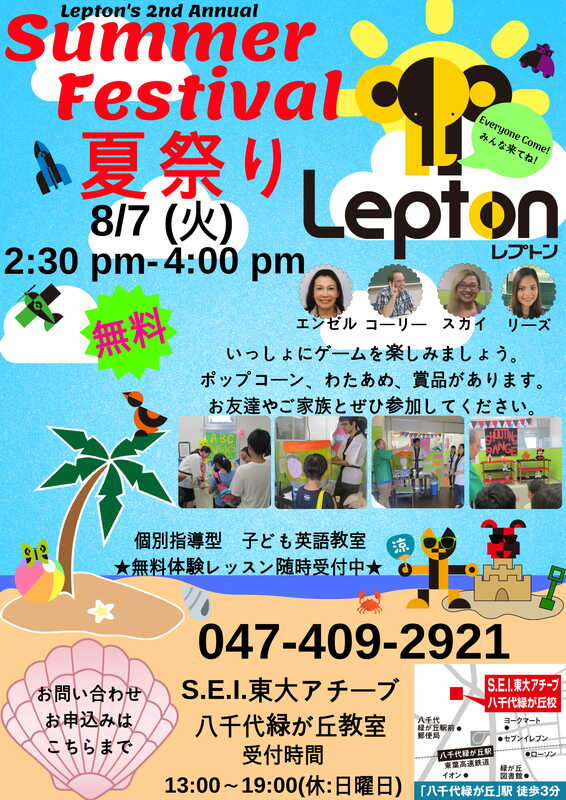 8月7日　火曜日　14：30-16：00　無料! Copyright (c) 2017 S.E.I.東大アチーブ All Rights Reserved.